Show your Scorpion Pride at the flying field with the new Official Team Scorpion Flying Shirt! 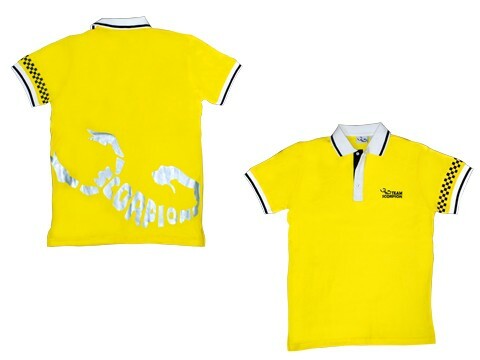 These high quality polo shirts are made from 100% cotton, and feature the Team Scorpion logo embroidered on the front, and a large silver Scorpion emblem on the back. The trim on the collar and sleeves is white with a black stripe, and also has a cool checkerboard pattern on the left sleeve.